An impressive milk chocolate truffle with a center of coconut. Tasty, lovely, and gluten free! Prepare the coconut dough, exact instructions can be found in the Coconut Balls -Rafaello recipe, leave to cool in the fridge for an hour. 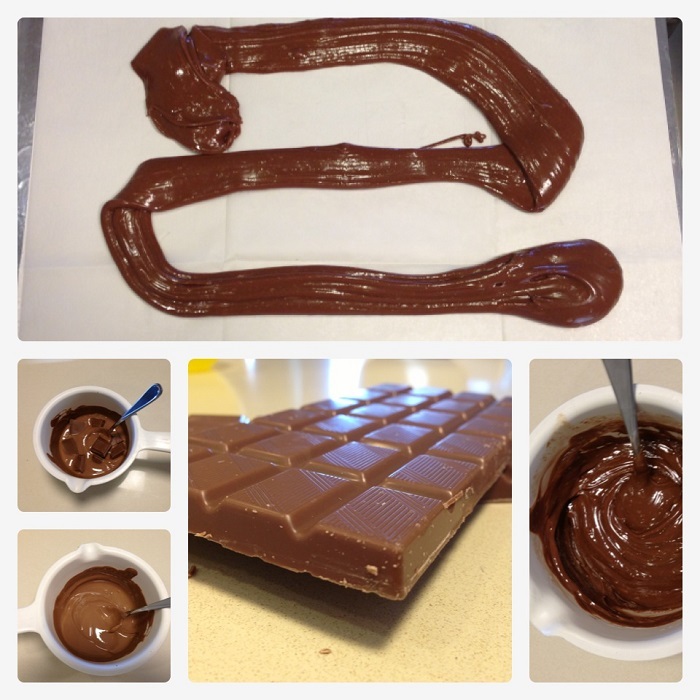 On a bain-marie or in the microwave, melt the chocolate while leaving aside a few pieces. After the chocolate melts, remove from the heat source and steer the chocolate left aside while the chocolate cools down. This will serve as seeding tempering and will make the chocolate more stable. Add butter (if you want), the cream and steer. Add the liqueur or praline if you want. Pour the chocolate with a spoon on a parchment paper on a cold surface to cool and harden. Prepare a small ball (1 cm diameter). 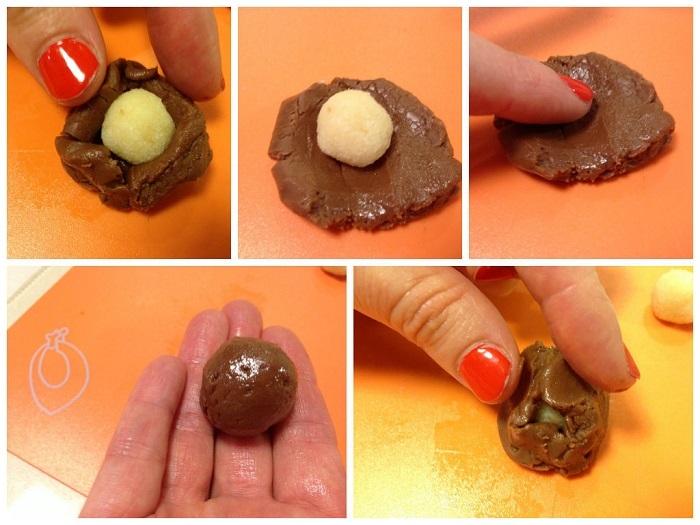 With clean fingers take a spoon of the chocolate mixture and create a flat ‘button’, put the coconut ball in the middle and gently wrap the coconut ball with the brown chocolate mix. roll into a ball shape. 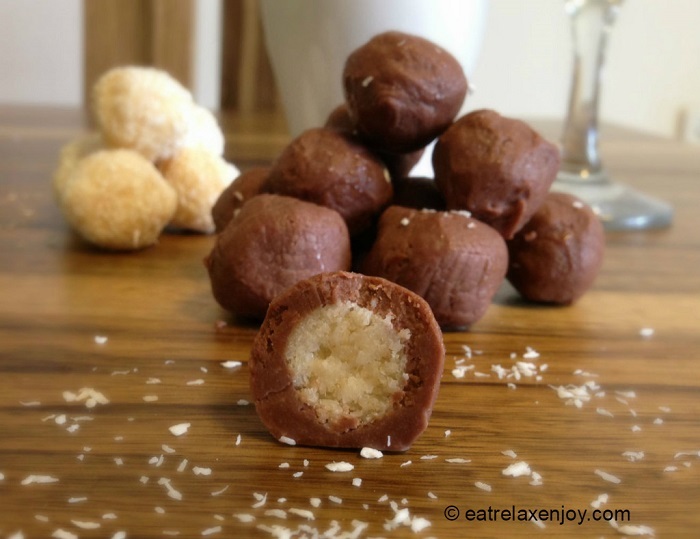 You can now serve the balls as they are, roll in coconut, sugar powder or cocoa powder, or dip in bittersweet chocolate (preferably tempered). Keep refrigerated. You may freeze. 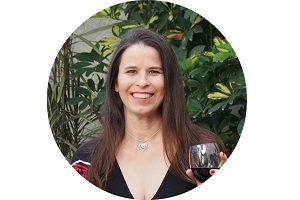 Your guest will be surprised – the white center in the middle of the chocolate truffle!